Young stars much less massive than the sun can unleash a torrent of X-ray radiation that can significantly shorten the lifetime of planet-forming disks surrounding these stars. This result comes from a new study of a group of nearby stars using data from NASA’s Chandra X-ray Observatory and other telescopes. Rochester Institute of Technology astronomer Joel Kastner led the study. Kastner’s team found evidence that intense X-ray radiation produced by some of the young stars in the TW Hya Association (TWA), which is about 160 light years from Earth, has destroyed disks of dust and gas surrounding them. These disks are where planets form. The stars are only 8 million years old, compared to the sun’s four-and-a-half billion years. Astronomers want to learn more about systems this young because they are at a crucial age for the birth and early development of planets. Various research groups have been exploring whether high-energy radiation from young dwarf stars might help “blow away” their planet-forming disks, said Kastner, professor in RIT’s Chester F. Carlson Center for Imaging Science. Another key difference between the sun and the stars in the study involves their mass. The TWA stars in the new study contain between about one-tenth to one-half the mass of the sun and also emit less light. Until now, it was unclear whether X-ray radiation from such small, faint stars could affect their planet-forming disks of material. These latest findings suggest that a faint star’s X-ray output may play a crucial role in determining the survival time of its disk. These results mean that astronomers may have to revisit current ideas on the formation process and early lives of planets around these faint stars. Using X-ray data from NASA’s Chandra X-ray Observatory, the European Space Agency’s XMM-Newton observatory and ROSAT (the ROentgen SATellite), Kastner’s team looked at the intensity of X-rays produced by a group of stars in the TWA, along with how common their star-forming disks are. They split the stars into two groups to make this comparison. The first group of stars had masses ranging from about one-third to one-half that of the sun. The second group contained stars with masses only about one-tenth that of the sun, which included relatively massive brown dwarfs, objects that do not have sufficient mass to generate self-sustaining nuclear reactions in their cores. The researchers found that, relative to their total energy output, the more massive stars in the first group produce more X-rays than the less massive ones in the second. 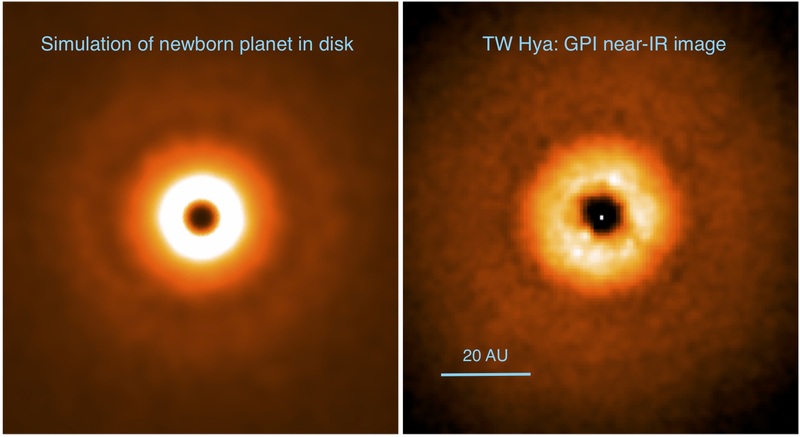 To find out how common planet-forming disks in the groups were, the team used data from NASA’s Wide-Field Infrared Survey Explorer (WISE) and, in some cases, ground-based spectroscopy previously obtained by other teams. They found that all of the stars in the more massive group had already lost their planet-forming disks, but only about half of the stars in the less massive group had lost their disks. This suggests that X-rays from the more massive stars are speeding up the disappearance of their disks, by heating disk material and causing it to “evaporate” into deep space. In previous studies, astronomers found that 10-million-year-old stars in the Upper Scorpius region, another star-forming group, displayed a similar trend of an increase in the lifetime of disks for lower mass stars. However, the Upper Scorpius work did not incorporate X-ray data that might offer an explanation for this trend, which is one reason why this new study of the 8 million-year-old TWA is important. Another reason is that theoretical models of the evolution of planet-forming disks generally predict that the lifetimes of disks should have very little dependence on the mass of the star. The new results for the “puny” TWA stars point to the need to revisit disk evolution models to account for the range in the X-ray outputs of very low-mass stars. These results appear in The Astronomical Journal. The authors of this paper are Joel Kastner from RIT; RIT alumnus David Principe ’14 (astrophysical sciences and technology), now at Universidad Diego Portales; Chile; Kristina Punzi, Ph.D. student at RIT; Beate Stelzer at INAF Palermo, Italy; Uma Gorti at SETI Institute; Ilaria Pascucci at University of Arizona; and Costanza Argiroffi at INAF. The direction of RIT professor Roger Easton’s research changed in 1998 when a manuscript scholar working for Christie’s of New York came to the Chester F. Carlson Center for Imaging Science with a palimpsest in her backpack. Underneath the text of a 12th-century Christian prayer book lay the erased 10th-century transcriptions of mathematical treatises written by Archimedes in the third century BCE. The palimpsest, or overwritten book, was bound from random pages of discarded manuscripts scraped clean. Copies of Archimedes’ writings had wound up in a medieval recycling bin. The erased manuscripts in the palimpsest include the only extant copy of Archimedes’ Method of Mechanical Theorems and the only version of his best-known work, On Floating Bodies, written in the original Greek. The Christie’s scholar wanted a sampling of images from the seven treatises for the auction catalog, and she needed the RIT team to disentangle and enhance the undertext. Easton spent one day that August imaging the manuscript with the late Robert Johnston, archeologist and retired RIT dean of the then-College of Fine Arts. Their collaborator, Keith Knox, then a scientist at Xerox Corp., helped. His sister-in-law at Christie’s had referred the scholar to the group. They captured a sample of images from the manuscript under ultraviolet and infrared light and processed the information to reveal text and diagrams containing Archimedes’ concepts. The manuscript sold at auction for $2 million and spent a decade under conservation at the Walters Art Gallery, now Museum. The preservation of Archimedes’ treatises—and other important historical and philosophical writings recovered on the palimpsest—culminated in a 2011 symposium and exhibition and a two-volume catalogue of images enhanced largely by Easton and Knox. The project gained RIT entry into an inner circle of scholars and conservators. Today, Easton is the go-to guy for imaging manuscripts, maps, musical scores and other cultural artifacts in various states of deterioration. Demand for the digital recovery of historical artifacts has taken Easton to Egypt, England, France, Germany, the Republic of Georgia, Italy and India to image documents too precious and fragile to move. He and his students have enhanced religious manuscripts found in a back room at St. Catherine’s Monastery in Mount Sinai, Egypt, the African diaries of Victorian explorer David Livingstone and the 15th century Martellus Map, which may have influenced Christopher Columbus. Discover magazine ranked the multispectral imaging of the Martellus Map at Yale University as No. 74 in its list of the top 100 science stories of 2015. Chet Van Duzer, an independent scholar, led the project. 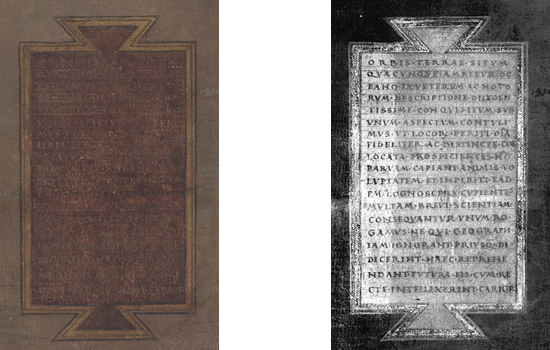 Spectral imaging recovers faded or erased text by capturing details about the ink and the parchment at different wavelengths. And because different wavelengths of light convey information unique to that spectrum, traces of iron ink, for instance, appear one way in infrared light, another way in ultraviolet, and, perhaps, not at all in visible light. Multispectral imaging collects the different information and recombines them into composite spectral signatures. Easton uses the near-infrared wavelength to reveal ink in darkened or charred parchment and the ultraviolet wavelength to enhance the visibility of faded text with fluorescence. Instead of reflecting light, a document imaged under ultraviolet absorbs and re-emits light, making the parchment glow beneath the ink. The collaborator’s imaging system has evolved since the early days of the Archimedes project. The current setup includes a 50-megapixel digital camera, a spectral lens that provides a sharp focus from near ultraviolet to near infrared wavelengths, and different panels of light emitting diodes in 12 bands of color. The camera has optical filters that allow illumination of the object with one color and imaging with another. One of his collaborators, Gregory Heyworth, a humanities professor at the University of Mississippi, estimates that Europe alone has 60,000 manuscripts in need of attention. Easton thinks the number is modest. The overwhelming amount of work to be done is compounded by the lack of trained people to do it, he said. The emerging field of spectral imaging of historical documents gives RIT an opportunity to capitalize on its imaging expertise and become an international leader and a resource in this area, said David Messinger, director of the Center for Imaging Science. Already students are making a difference. During work on the Archimedes palimpsest, Kevin Bloechl ’12, ’14 (imaging science) developed processing techniques that Easton now applies to every new project. The story is one of Easton’s favorite anecdotes. At the time, Bloechl, then a first-year student, asked Easton for something to do over the 2008 winter break instead of bagging groceries. Easton had just received an email from the curator at Walters Art Museum asking him to spend his holiday working on a section of the Archimedes palimpsest the scholars wanted to read. Easton handed the project to Bloechl. Bloechl used one color image composed of red, green and blue light generated by fluorescence from the ultraviolet illumination. The text became legible to scholars after processing those three bands of the color image. His breakthrough changed Easton’s approach. From then on, Easton always imaged the color of the ultraviolet fluorescence. The manuscript absorbed the ultraviolet and emitted light mostly in the blue, some in the green and a little in the red, Easton explained. Bloechl describes his contribution as a happy accident. David Kelbe ’10, ’15 (imaging science) is another student who has advanced the science of imaging historical documents. 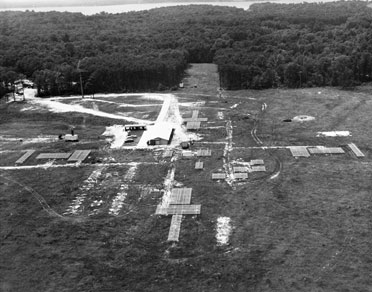 Kelbe, now a research scientist at Oak Ridge National Laboratory, introduced principles of remote sensing to the statistical analysis of different spectral colors. His techniques analyze the different brightness and wavelengths of light and recombine them to accentuate the contrast of the undertext, he explained. Kelbe will continue teaching scholars in Vienna and Athens to image documents they wish to recover. He is also ensuring continuity at RIT by teaching his techniques to fourth-year imaging science undergraduates Liz Bondi and Kevin Sacca. Sacca is exploring solutions for scholars with his senior project. He is developing an inexpensive portable imaging system for scholars to use on site. Sacca will demonstrate a prototype of his imaging-software tool kit at the Imagine RIT: Innovation and Creativity Festival on May 7. Easton looks forward to Sacca’s results. Messinger sees the potential to connect the dots among the College of Science, the College of Imaging Arts and Sciences, the College of Liberal Arts’ museum studies and digital humanities and social sciences programs, and the Cary Graphic Arts Collection in The Wallace Center. Steven Galbraith, curator of the Melbert B. Cary Jr. Graphic Arts Collection, proposed and championed the idea. 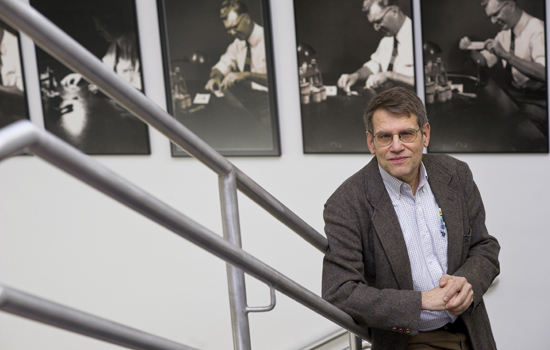 This fall, a new Laboratory for Imaging of Historical Artifacts was established by the Chester F. Carlson Center for Imaging Science with $300,000 from the Chester and Dorris Carlson Charitable Fund. The laboratory will position RIT to advance the science behind imaging historical documents and train more people. Roger Easton will present his research this year at several forums. He and collaborator Keith Knox will present the keynote address at the Imaging Science and Technology Society: Digital Archiving Conference at the National Archives in Washington, D.C., April 20, and participate in a forum about the Syriac Galen palimpsest in Philadelphia April 29-30. RIT’s foray into the spectral imaging of historical documents was initiated in the 1990s by the late archeologist Robert Johnston, a former dean of RIT’s College of Fine Arts and director of the Chester F. Carlson Center for Imaging Science from 1992-1994. He was among the first to suggest the use of digital imaging technology to decipher the Dead Sea Scrolls, ancient Jewish texts that hold clues to the development of Christianity. RIT’s contributions were featured in documentaries produced by British Broadcasting Corp. and the Discovery Channel celebrating the 50th anniversary of the scrolls’ discovery. Scholars were unable to read the cartouche on Henricus Martellus’ World Map until Roger Easton processed the images. Back in December, Motherboard published a short post about the 58th anniversary of the 1957 Vanguard TV-3 (Test Vehicle 3) launch, which was the first American attempt to send a satellite into orbit. We were pleasantly surprised when Roger Easton Jr. reached out with his thoughts on the mission. An accomplished scientist in his own right, Dr. Easton is also the son of Roger Lee Easton, who led Project Vanguard during the 1950s, and later went on to become the inventor and designer of the Global Positioning System (GPS) that has become so ingrained in our everyday lives today. Dr. Easton graciously obliged to share his memories of growing up alongside Project Vanguard in a post for Motherboard. 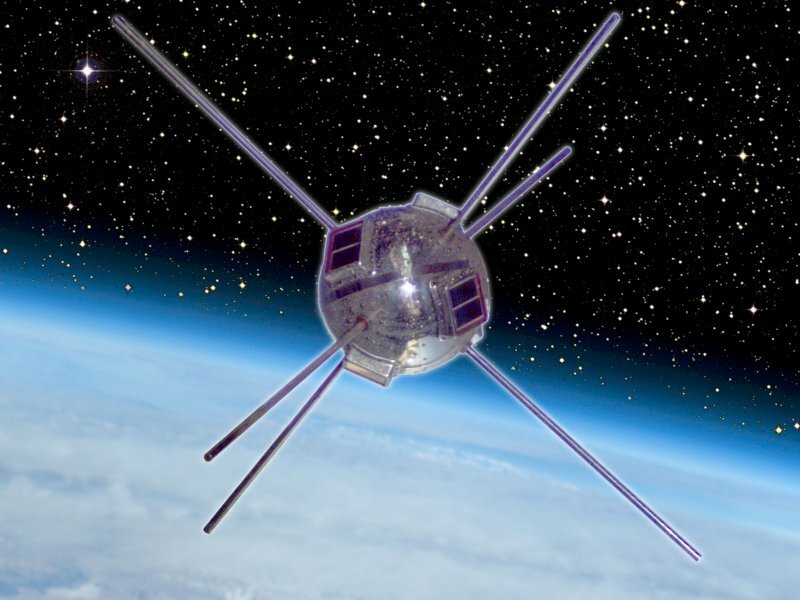 Fittingly, today is the 58th anniversary of the launch of Vanguard 1, which is now the oldest satellite in orbit. Enjoy. Among the strongest and clearest memories from my early childhood in the 1950s was being taken outside into the yard early one evening in October 1957 by Mom and Dad to see a moving light in the sky—in the southwest, if I recall correctly. It was the burned-out top stage of the Soviet rocket that launched Sputnik 1. My other memories of that time are far more vague, but my sister reminds me constantly that Dad wasn’t home much that week, because he was working with his team to switch over the Minitrack satellite tracking system at Blossom Point, MD to pick up radio signals from Sputnik at 20.005 MHz (right next to the US WWV time signal) and 40.002 MHz. Minitrack was designed to “listen in” at 108.0 MHz and 108.3 MHz, just above the FM radio band, which was much lessoccupied in the 1950s than it is now. The frequency conversion was said to be very difficult, but was eventually successful after some days of frantic effort. It apparently required stringing up an untidy nest of RF coaxial cables. As Dad told it, a Navy liaison officer was somewhat offended by the “unshipshape” nature of that building-wide web of cables, so he took on the personal task of “straightening up” the mess—and the system never worked again (which is a metaphor of some sort). This phrase had a very fuzzy meaning for me until my second-grade year. The December 1957 issue of National Geographic magazine had a photo of Dad holding the “grapefruit” test satellite. Within a week, the story became even more interesting, when the Vanguard Test Vehicle 3 (TV-3) exploded in spectacular fashion, damaging America's hope of taking back some of the spotlight from the Soviets after their successful launches of Sputniks 1 and 2. Six Rochester Institute of Technology researchers are among the authors of a paper announcing what may be the most important scientific discovery in a century—findings that confirm the existence of gravitational waves predicted in Albert Einstein’s general theory of relativity. The gravitational waves were detected on Sept. 14, 2015, at 5:51 a.m. Eastern Daylight Time (9:51 UTC) by both of the twin Laser Interferometer Gravitational-wave Observatory (LIGO) detectors, located in Livingston, La., and Hanford, Wash. The LIGO Observatories are funded by the National Science Foundation and were conceived, built, and are operated by Caltech and Massachusetts Institute of Technology. The discovery, accepted for publication in the journal Physical Review Letters, was made by the LIGO Scientific Collaboration (which includes the GEO Collaboration and the Australian Consortium for Interferometric Gravitational Astronomy) and the Virgo Collaboration using data from the two LIGO detectors. RIT researchers listed as co-authors of the paper to be published in Physical Review Letters are John Whelan, associate professor in RIT’s School of Mathematical Sciences and principal investigator of RIT’s group in the LIGO Scientific Collaboration; Richard O’Shaughnessy, assistant professor in the School of Mathematical Sciences; Carlos Lousto, professor in the School of Mathematical Sciences and an American Physical Society Fellow; James Healy, post-doctoral research fellow; and graduate students in RIT’s astrophysical sciences and technology program Jacob Lange and Yuanhao Zhang. They are all members of RIT’s Center for Computational Relativity and Gravitation, a research hub in the College of Science and an RIT Research Center of Excellence, led by Manuela Campanelli, director of the center, professor in the School of Mathematical Sciences and an American Physical Society Fellow. RIT President Bill Destler lauded the team for its role in this scientific revelation. The LIGO paper prominently cites 2005 landmark research done by Campanelli and her team on binary black hole mergers. Based on this milestone work, Lousto and Healy numerically modeled the merger of a pair of black holes and simulated gravitational waveforms that match the one which LIGO detected. Campanelli’s team was one of the first to solve Einstein’s strong field equations describing the inspiral, merger and ringdown of binary black hole systems—and simulate colliding black holes on a supercomputer. 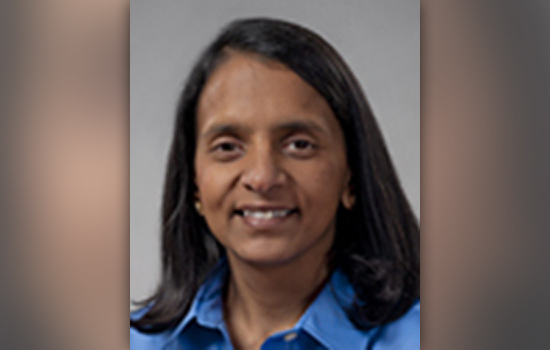 Her collaborators were Lousto and Yosef Zlochower, an associate professor in RIT’s School of Mathematical Sciences, and Pedro Marronetti, program director of the division of gravitational physics at the National Science Foundation. Hans-Peter Bischof, RIT professor of computer science and a member of the center and the LIGO Scientific Collaboration, has produced scientific visualizations of their seminal research and subsequent work. “The LIGO announcement is both a historical and a very emotional moment in science, especially for us, since our research contributed to the identification of the first gravitational wave observation as a binary black hole merger,” Campanelli said. 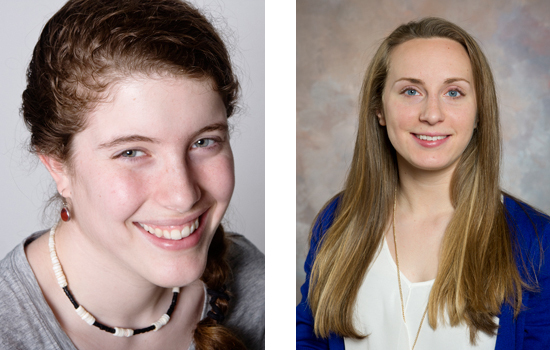 Whelan and O’Shaughnessy specialize in analyzing gravitational wave data and developing methods for detecting and interpreting gravitational wave signals. O’Shaughnessy’s research connects the gravitational-wave signatures observed by LIGO to the astrophysical sources that produced them. He estimates both the nature of these sources—in this case, a binary black hole—and how they formed. O’Shaughnessy works closely with Lousto and Healy, who use supercomputers to produce accurate numerical simulations of binary black hole systems like the one detected by LIGO. “It is incredibly exciting to see that our predictions for the merger of two black holes have been so neatly verified by direct observation,” Lousto said. Black holes are massive stars that have collapsed into compact objects whose gravity is too strong for light to escape. Collisions of black holes produce gravitational waves that ripple through space at the speed of light. The detection of the first gravitational wave follows the centennial celebration in 2015 of Einstein’s general theory of relativity, which predicted the existence of these waves. They result from strongly gravitating masses like black hole mergers, highly spinning neutron stars and stellar explosions—and from the Big Bang. Although these waves carry extreme amounts of energy, they couple weakly to matter, and only highly sensitive detectors like LIGO can observe them. Analysis of the shape of gravitational waves can reveal information about the systems that generated them. LIGO research is carried out by the LIGO Scientific Collaboration, a group of more than 1,000 scientists from universities around the United States and in 14 other countries. More than 90 universities and research institutes in the collaboration develop detector technology and analyze data; approximately 250 students are strong contributing members of the collaboration. The LIGO Scientific Collaboration’s detector network includes the LIGO interferometers and the GEO600 detector. The GEO team includes scientists at the Max Planck Institute for Gravitational Physics (Albert Einstein Institute, AEI), Leibniz Universität Hannover, along with partners at the University of Glasgow, Cardiff University, the University of Birmingham, other universities in the United Kingdom, and the University of the Balearic Islands in Spain. The U.S. National Science Foundation leads in financial support for Advanced LIGO. Funding organizations in Germany (Max Planck Society), the U.K. (Science and Technology Facilities Council, STFC) and Australia (Australian Research Council) also have made significant commitments to the project. Several of the key technologies that made Advanced LIGO so much more sensitive have been developed and tested by the German UK GEO collaboration. Roger Easton, professor in the Chester F. Carlson Center for Imaging Science, uses multispectral imaging to uncover hidden text from historical objects. He is spending the intersession in Chartres, France, imaging fragments of manuscripts damaged in WWII bombings.